The Whip is a synth-pop band that was formed in Manchester, England in 2006 by Danny Saville and Bruce Carter. They make rock influenced dance music characterized by high energy dance beats, the use of guitars and synthesizers, and passionate vocals. The band quickly released a few singles including Frustration, Trash and Divebomb. The Whip quickly gained traction thanks to the inclusion of Trash on Kitsune Music's Kitsune Maison, Vol. 3, a yearly compilation of dance/rock music compiled by the well-regarded French dance and fashion label. Their debut X Marks Destination was released in 2008 on Southern Fried Records. 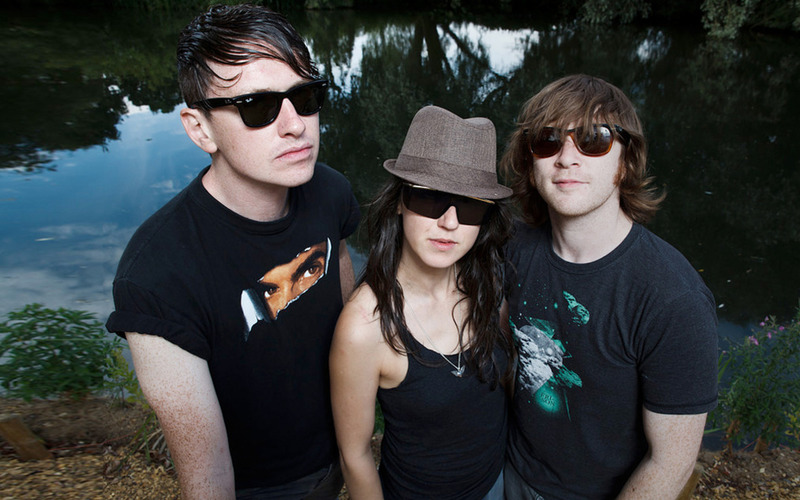 Founding member Danny Saville quit the band following the release of their debut, while the remaining members released their follow up, Wired Together in 2011, also on Southern Fried Records. The Whip continues the proud tradition of their Manchester, England home: bridging the divide between rock and dance and making sure the line between rock concert/club night is exhilaratingly blurry. With Mancunian dance rock fore-bearers like New Order, The Stone Roses, Happy Mondays, Doves and straight up electronic acts like The Chemical Brothers and 808 State, the Whip has got a lot to live up to. The young four-piece has some work to do before they can pencil their names in next to those guys, but their infectiously fun and energetic music have given them a healthy start. Their recently released sophomore album Wired Together is inexhaustibly upbeat from start to finish, filled with banging drums, half sung/half shouted choruses and club pleasing synthesizers. “Secret Weapon” starts off strong with pounding kick drums and intense, bouncy synths. As any good dance-pop song should, things really kick into high gear in the chorus when an guitars, synths, driving bass line and vocalist Bruce Carter collude to create dance punk excitement. “Best Friend” is a classic moody synth-pop track, with its hypnotic verse and ear worm chorus. The New Order influence is really strong here, and well done. “Slow Down” is a pretty ballad that sees the band toning down the high energy a bit. Carter brings out one of his memorable vocal melodies over yearning organ and a steady dance rhythm pulse. For the most part Wired Together isn't the deepest of music, but it's not trying to be an Artistic Statement. The band set out to create high energy, dance-floor filling pop songs, and that's just what they've done.